A bohemian’s guide to travel and tipple! The idea for this website (or blog if you prefer to call it that) was borne from realising that so much fun can be found right on your doorstep, that a delicious meal doesn’t have to cost you a fortune and that little dorp that you whizz through on your way to see the family for Christmas actually holds some quirky establishments and interesting people if you stop for the night instead of only at the stop street. 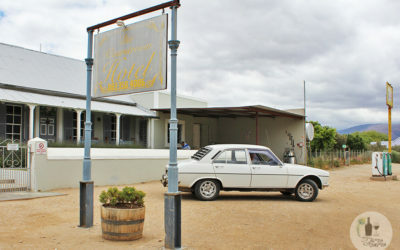 So if you are looking for somewhere new to go in your neighbourhood, fancy a roadtrip through the Karoo or simply want to know where to get a good meal on a budget, then you’ve come to the right place! 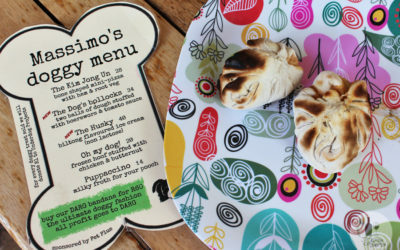 Plus you’ll find loads of pet-friendly places to eat or stay at as Tino and I love sniffing out new places to go! I also pride myself on authenticity, so you won’t find many sponsored posts. However, occasionally I am approached to write an article, am hosted at a restaurant or establishment and sometimes get tickets to events. Whether I was hosted or not, or if the post is sponsored, it is noted at the bottom of the post. Welcome aboard my online caravan – I hope you find it useful, informative and fun! 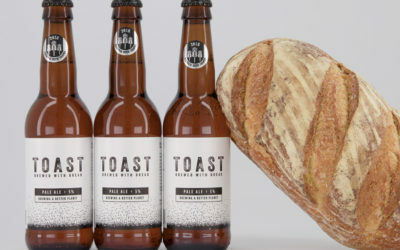 Toast Ale is the only craft beer in the world that is reducing bread waste while empowering the unemployed. It’s the easiest charity work you’ll ever do! SIGN UP FOR MY NEWSLETTER AND YOU COULD WIN A STAY AT AFRICAMPS, DOOLHOF! Sign up for my monthly newsletter before 30 April 2019 and you could win a two-night stay at AfriCamps Doolhof, valued at R4 750! You can take up to four people with you and the prize is valid until 28 February 2020 (peak season not included). The newsletter will be sent out on a monthly basis and will contain all my latest discoveries, from pet-friendly places to cool spots to eat, drink and stay. Plus there will be events worth going to, competitions and more! Thanks for signing up and good luck! I promise never to spam you or give out your email address to other parties. You are also welcome to unsubscribe at any time.